Challenging boundaries and ‘assumptions’ for pupils with significant speech, language and communication needs has been fundamental to the development of a total communication approach within our schools, to enable our pupils to have a more meaningful voice. In doing this, we have had to be cautious in presuming the validity of views if they are being expressed through a facilitator. We are making every effort to provide opportunities for genuine and reflective conversation around thoughts, feelings and opinions. We also have to respect and be mindful that silence can be a compelling statement also. Finding the balance within all this is extremely difficult, we have not perfected it, but are ambitiously striving to reduce those boundaries and to proudly challenge our thinking. 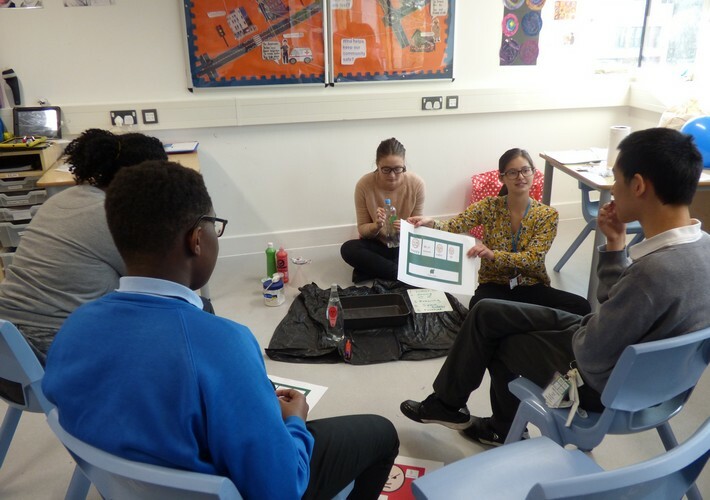 Using the expertise of our multidisciplinary team, we are providing our pupils with the necessary skills to actively participate in conversations and to voice their opinions. We teach communication as a given, allowing pupils to express their wants and needs, but we have had to ask ourselves, “What more can we do to empower our pupils to influence our thinking?” and “How are we enabling our pupils to participate?”. The Zones of Regulation develops our pupils’ ability to recognise and categorise their emotions as well as the staff teams’ ability to support them in this. Attention Autism enables our pupils to learn prerequisite skills needed to share attention and prepare them to work in a group alongside peers and a group leader. Augmentative and Alternative Communication devices and methods provide additional modes of communication. Democratically choosing school equipment, trips, improvements to the school; empowering pupils to actively be involved with decisions that affect them. This is a basic and fundamental right set out in Article 12 of the United Nation Convention on Rights of the Child. Developing an independence framework, based on the concept of ‘just enough support’. Asking our pupils to choose what it is they want to work for and ensuring they have the necessary knowledge on how they can achieve this. We ensure our pupils are able to participate by providing information in a way that is easy for them to understand and in a way that enables them to process this. We differentiate communication methods and adapt our approaches to the needs of our pupils; giving validation to what is being communicated and respecting this. Most importantly and somewhat primarily, the interventions listed above can only truly be effective if the mind-set of those facilitating the views is one that is prepared to question their own assumptions. Therefore, the most important question remains, and it is one we ask everyone to think about not only for World Autism Awareness Week, but in all interactions where we may be advocating on behalf of child or adult, “how do you know?”.